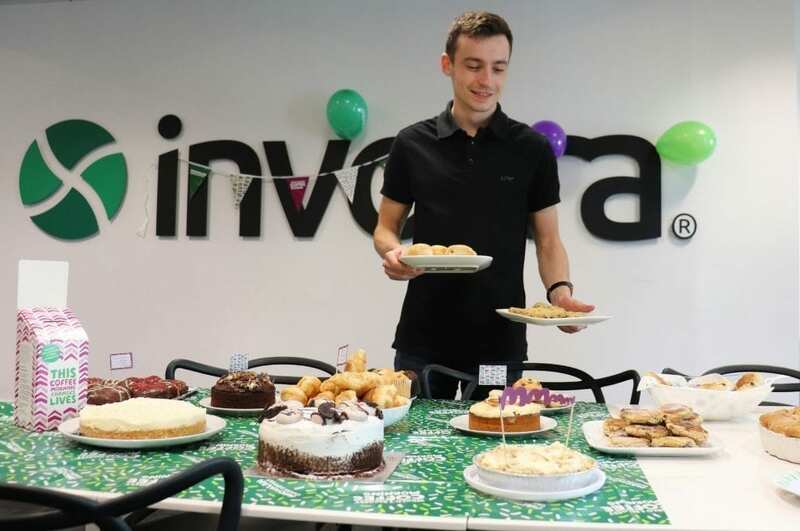 The Invotra team made a huge effort to support a Macmillan coffee morning at the Woking office on Friday 28th September. Delayed ever so slightly by a company meeting, our Junior Project Manager, Ryan Taylor, was almost fainting with hunger and anticipation. Pictured is Accessibility Product Manager, Andrew Doyle, tucking into the spread. 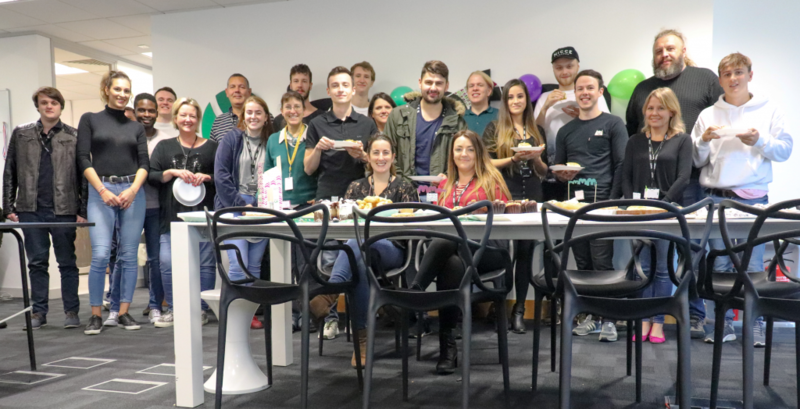 There was a fantastic selection of savoury and sweet master-bakes on offer including a family-size French pork and potato pie, ‘Team Galvin’ meat-feast pizzas, scrumptious white chocolate cheesecake and our sales admin Joanna’s doughnuts were certainly a sugary hit. The most delicious prize went to accounts assistant Ellen Mellett for her ‘heaven in a tin’ banoffee pie. In total, over £160 was raised for Macmillan Cancer Support. We are looking forward to next year’s offerings already!